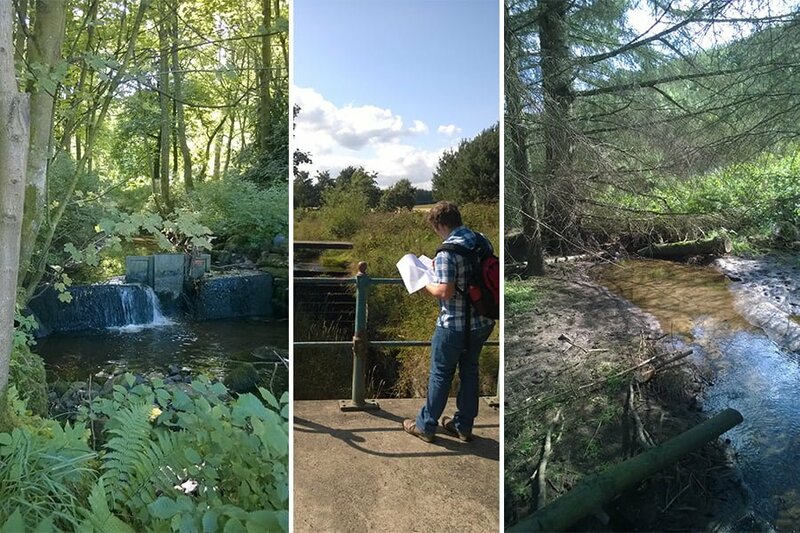 TEP has been appointed by Fife Council and SEPA (Scottish Environment Protection Agency) to prepare a feasibility study into the restoration of the Back Burn at Glenrothes. The burn flows off the Lomond Hills and drains the northern flanks of Glenrothes before flowing east towards the River Leven. Although it is well-wooded and quite scenic, the burn has been extensively engineered along most of its length. Banks have been reinforced and its channel has several sluices and weirs. In places it has been culverted in residential areas. At one point, its flow was taken into the now-disused Coul Den reservoir, formerly used as a water supply for the Haig Whisky distillery. Now the burn largely flows via the reservoir’s by-pass channel. The extent of modification means that there are numerous barriers to fish migration, and much loss of water from the channel. The burn is classed by SEPA as being of “poor ecological quality” and under the Water Framework Directive, SEPA and Fife Council are aiming to uplift this. TEP has joined forces with the River Restoration Centre (RRC), the UK’s national advice centre for best-practice river and catchment management. The RRC’s team, led by Dr Marc Naura, will be carrying out hydrogeomorphological surveys and producing costed options for restoration. Subject to the findings of the feasibility study, SEPA and Fife Council will make funding applications for detailed design and implementation of restoration works. One of the clients’ main objectives is to ensure the river restoration brings wider benefits, so TEP’s ecologists and greenspace managers will be carrying out habitat surveys, greenspace and footpath condition audits and consultations with local authority officers engaged in community engagement. TEP will prepare an ecosystem services opportunity assessment for the Back Burn corridor. The final report will enable Fife Council and SEPA to identify how to bring community and public health benefits through the process of river restoration. A particular priority is to improve accessibility by foot and cycle from Glenrothes town centre to the burn corridor.